(TibetanReview.net, Sep21, 2018) – A deal between China and the Vatican over the issue of appointment of bishops is all but imminent, according to China’s official globaltimes.cn Sep 19. If it materializes, the pact will mean substantial progress in China-Vatican relations, the report said. 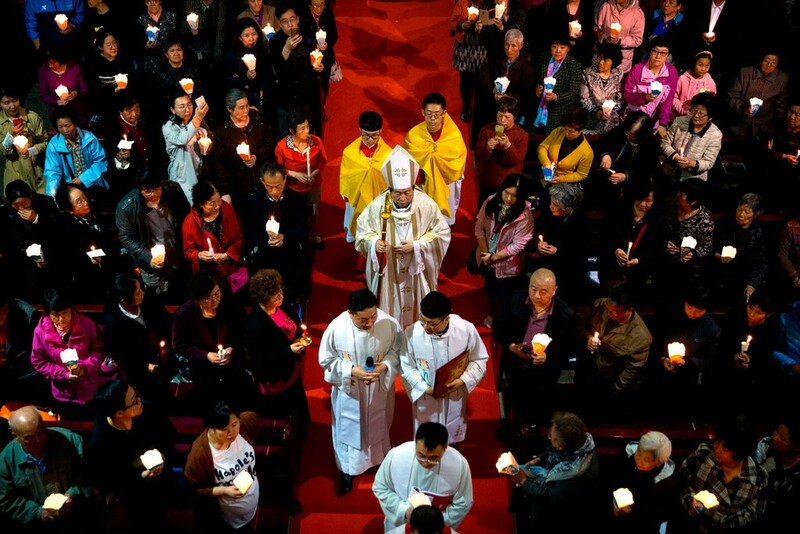 Such a deal is seen as paving the way for uniting the Chinese Catholics who worship in churches run by the government-approved Chinese Catholic Patriotic Association (CCPA) and about the other half who owe their allegiance to the Vatican and worship in illegal underground churches. It is also seen as being sure to lead the Vatican to switch its diplomatic recognition from Taiwan to Beijing. Currently, the Catholic Patriotic Association bishops are appointed by the Chinese government while those of the underground community are appointed by the Pope. While the former are not recognized, and have even faced excommunication, by the Vatican, the latter are considered illegal by Beijing. It was earlier reported by globaltimes.cn Sep 18, citing Wang Meixiu, an expert on Catholic studies at the Chinese Academy of Social Sciences, that China and the Vatican were likely to have agreed that the future bishops in China should be approved by the Chinese government and mandated by the Pope, with the letter of appointment being issued by the Pope. That report said the Vatican was likely to send representatives to China in late September to finalize the deal. The report said that before signing the agreement, the Holy See would deliver an official document to acknowledge seven bishops appointed by Beijing but regarded as “illegitimate”, and even excommunicated in the case of some of them, by the Vatican. China has around 6.5 million Catholics, more than 7,000 clergymen and around 6,000 churches and other Catholics sites, the CCPA was cited as saying in March. It was not clear whether this included the underground church members. It was suggested that the ongoing negotiations will stay on the religious level and not touch on any religious issue and the establishment of diplomatic ties between Beijing and the Vatican. But this could change. The Beijing-Vatican parley continues at a time when the church, like Islam and Buddhism, are facing the most severe repression in China in recent memory.